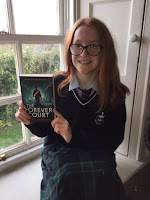 BleachHouseLibrary.ie: Book Review: The Forever Court by Dave Rudden. This is the enthralling second part in the Knights of the Borrowed Dark trilogy. It takes us back to Seraphim Row (a couple of months after the Clockwork Three incident), where Denizen, Simon, Abigail, Darcie and Vivian remain. Since his run in with the Tenebrous Mercy, daughter of the Endless King, Denizen's mind has been on fire (pun intended) with the new power Mercy gave him. With all seventy-eight Cants in your head, it takes a lot of willpower not to utter a few syllables and accidentally destroy the whole world. An old friend returns with an invitation to meet up with the Endless King's most trusted minions, the Forever Court. Denizen thinks of it as a chance to see Mercy again. But is it a trap? The book also follows Uriel Croit, a member of a very powerful family that worships a being known as the Redemptress. She is said to have given the Croits her Favour, a fire that burns in their hearts and takes the form of whatever you choose. With this mass fire-power (I can't help it! I love puns! ), the army of the Favoured plan on taking down 'the Aversary', an enemy who doomed their Redemptress. But Uriel is having second thoughts about what he is doing as soon as he sees what he is up against. Will he fight for his family, or hide from the horror that is war? 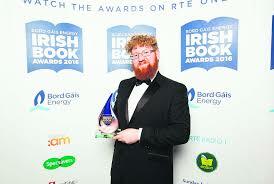 Another outstanding novel from Dave Rudden. It shows two different styles of writing: humorous in Denizen and dark and literary in Uriel. 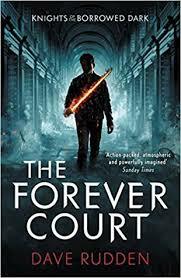 Unfortunately, the week I started reading The Forever Court was the week I got back from a trip with my school. I was exhausted and couldn't read much. Fortunately, I had plenty of free-classes the next week, so I got plenty of reading done. I can't wait for book 3: The Endless King! It's hopefully coming out next year (no pressure). You can read my review of Knights of the Borrowed Dark HERE. The Forever Court is published by Puffin and is available in paperback and ebook format. You can get your copy, with Free Worldwide Postage, HERE. 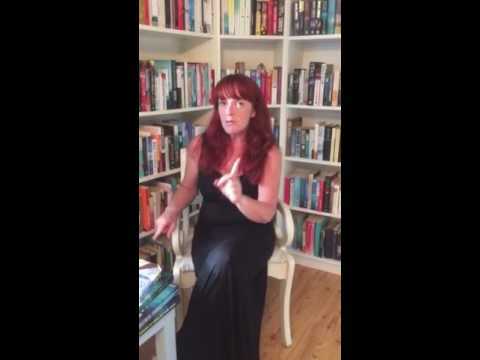 Check out the great book trailer below.